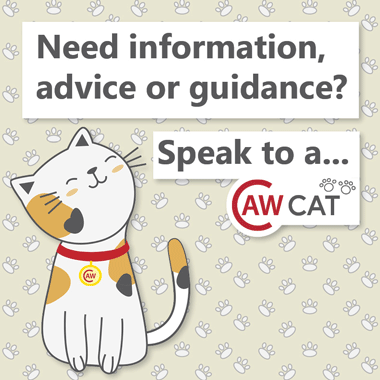 At The College of Animal Welfare we work hard to promote respect to all as well as a healthy and professional attitude towards learning, life and work. Students are encouraged to contribute to the life of the College as well as the wider community; to this end students hold various fundraising events throughout the year. If you have any bras lying around in your drawer that you no longer want, please think about donating them to the Bras for Nowzad appeal. Nowzad dogs, a charity that rescues stray and abandoned animals in Afghanistan, can raise much needed funds from every kilo of bras that are donated. All types of bras, including ones with or without wires, brand new or well worn, can be donated; all they ask is that they are washed before donation. Our Huntingdon centre has two main collection bins; if you go to another one of our centres, or are a distance learning student, please either hand into your centre and we will arrange to add them to the collection or post them to our Huntingdon centre directly. Many thanks for your help, your donations really will make a difference. A huge thank you to all the cake lovers at our Leeds centre who came out in force to take part in our Macmillan Coffee Mornings – together, staff and students raised £167.03 for Macmillan Cancer Support! Our team in Edinburgh successfully completed their very own Tour De Forth on Saturday 21st October 2017, cycling 40 miles around the Forth river in aid of the Children’s Cancer and Leukaemia Group! 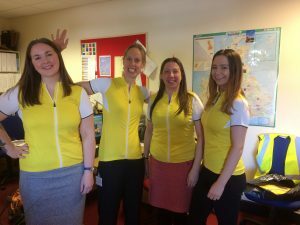 The team raised over £400 for the cycle ride, and raised an amazing £98.36 from their college bake sales earlier that month! Thank you to all our students, staff and clients who donated to our 2016 Christmas Appeals. Our Huntingdon centre delivered a large bed full of food, toys and goodies to Animals in Need in Northamptonshire. Edinburgh collected a bin full of food that was donated to the Scottish SPCA Edinburgh and Lothian Animal Rescue and Rehoming centre and Potters Bar handed over donations to the Friends of RSPCA Southridge’s Christmas Dinner Appeal. Thank you very much to all who supported the appeals. Congratulations to students and staff at our centres in Potters Bar and Leeds, who took part in Macmillian’s ‘World’s Largest Coffee Morning’ in September, raising £184.09 collectively! 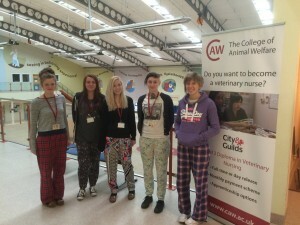 Veterinary Nursing students at our Leeds centre raised £34 for Cats Protection by coming into College dressed in their PJs! Congratulations on raising money for such a great charity! 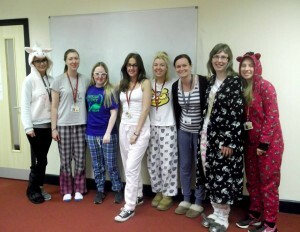 It was PJ Day for our Veterinary Care Assistant students in Edinburgh on Friday 24 June, who came into college dressed in their pyjamas – raising £20 for the Scottish SPCA! The money will go towards rescuing animals in danger, finding pets new homes and raising awareness of animal welfare issues across Scotland. Well done everyone! 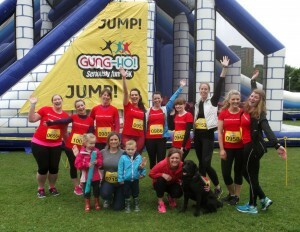 Congratulations to students and staff at our Edinburgh centre, who took part in Edinburgh’s Gung Ho event on Saturday 11 June 2016, raising £374 for Macmillan Cancer Support and £410 for Therapet Canine Concern Scotland Trust! 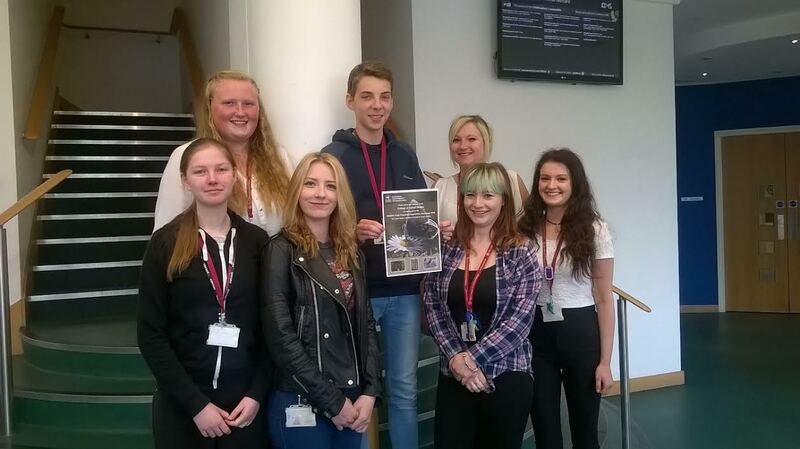 Congratulations to our Animal Care students at Huntingdon for taking part in the Wildlife Trust Apprentice Challenge. Over the month of February they raised £115.00 by organising a bake sale, a “guess how many sweets in the jar” challenge and an animal themed dress up day. The money will go towards helping conserve local wildlife and informing people about why safeguarding the natural environment is important. Well done to everyone involved. Congratulations to our staff and students for raising over £150 for Children In Need on Friday 13 November 2015. A variety of ‘spottiness’ was seen at our Huntingdon centre; rom spotty scarfs and spotty shirts to spotty onesies and spotty cakes! And, our first year veterinary nursing degree students at Middlesex University, came to lectures dressed in Yellow! Well done everyone for raising money for such a great cause. Thank you to our former students who took part in the 2015 student destination survey. We committed to donating a pound to Nowzad dogs for every telephone response we received, so we are delighted to have been able to present Nowzad Dogs with a cheque for £256! Thank you to everyone who took part. 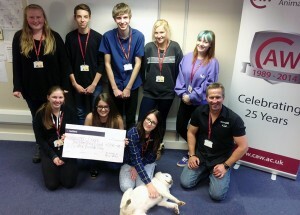 Our animal care students at Huntingdon raised £72 for Canine Partners by holding a cake sale at break and lunch times! Well done all! 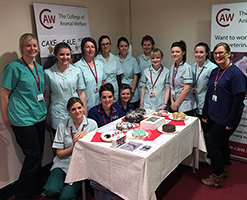 Well done to our first year veterinary nursing students at Edinburgh who raised £28 for search and rescue dogs with a ‘Bake Off’ competition. Well done everyone! 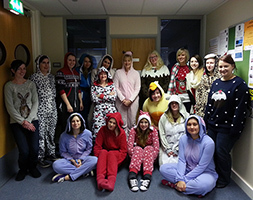 Well done to our first year, full time veterinary nursing students at Huntingdon for raising £20 by coming into college wearing onesies and donating a pound to Wood Green The Animals Charity. They ever bought a spare ‘piggy’ onesie for lecturer, Charlotte! Well done all! 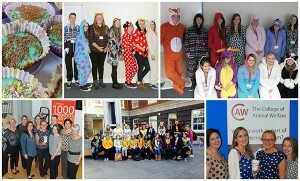 A huge thank you to all our students and staff who supported our fundraising efforts during Children in Need week. Huntingdon raised a total of £185.08 (to be split between Children in Need and Medi-Detection Dogs). 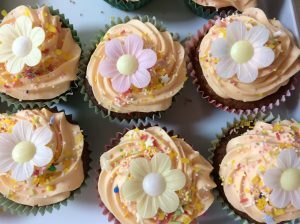 With a special mention to VN students Jilly and Anna for raising £11.50 by selling their own cakes to staff and students, they were yummy! 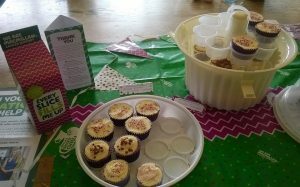 Potters Bar and Leeds raised £25 and £115 respectively with their cake sales. Edinburgh raised an incredible £264.65 with QAS Allison doing a sponsored silence and Centre Manager Karen Hibell dressed as Minnie Mouse. Well done all! 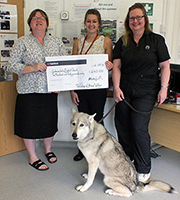 As part of The College of Animal Welfare’s silver jubilee year celebrations, we offered people the opportunity to get their dogs professionally groomed in our Grooming School for a charitable donation of just £10 during April. A total of £260 was raised for Godmanchester Foodbank and The College of Animal Welfare agreed to match the amount raised and donate it to the CAW Student Hardship Fund. Thank you to everyone involved.